Visualize a real estate purchase contract with just a few extra words added to your name as the buyer. This would look something like this: "Buyer: John J. Doe, and/or assigns." That's it. Seems simple, and it is. But, it opens up many opportunities for profits in real estate investing. The simplest way to profit in this situation is to simply locate one or more buyers in your buyer database, show them the value in the deal, and take a referral or "bird-dog" fee for bringing the deal to them. 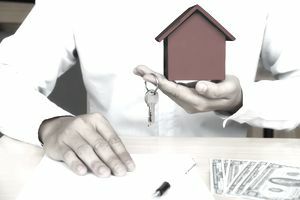 You can also take on the purchase, immediately selling the property to another investor or a retail buyer. You would probably take this approach because your profits would be higher. After the mortgage crisis in 2007 and after, you can no longer use the funds of one deal to close on another in simultaneous closings. The lenders just won't allow it. However, you can explore resources for short-term funding, maybe a relative, your own cash, or a hard money lender. You only need the money long enough to close the purchase and then the sale.